This review is for the UN Health Insurance Company. However, there is no UN Health Insurance Company. This review will focus on the health insurance options offered by the UN, or United Nations. The insurance coverage types in this review will only apply to UN employees. If you are not a UN employee and are looking for health insurance coverage, you must contact another carrier or agent. Can’t find health insurance quotes? Enter your zip code to find insurance rates near you today! 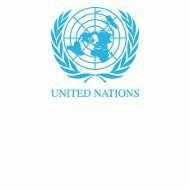 The UN does not offer its own specific health insurance plan, nor are any of the available plans available to non-UN employees. The Aetna Open Choice PPO plan gives UN employees the ability to receive coverage anywhere in the world if they become hospitalized. It also provides coverage for prescription medications, surgery, and other medical costs. Subscribers who have Aetna Open Choice can also choose any physician or hospital for their care, whether the provider or facility is considered in-network. Co-pays for an in-network physician visit is $15 and the co-pay for an in-network visit to a specialist is $20. If you go to an in-network provider, there is no additional paperwork needed and you do not need to file any other claims. Otherwise, if you choose to go to an out-of-network provider, you can simply file a claim for reimbursement after making payment arrangements, and receive the reimbursable amount subject to any other fees that must be taken into account, such as a deductible and co-insurance costs. The annual deductible costs for receiving services from an out-of-network provider with Aetna are $175 per individual or $525 per family. In addition, there is a co-insurance cost of $1,175 per individuals and $3,525 per family. Aetna will reimburse up to 100% of reasonable costs. It is usually more financially beneficial to utilize an in-network physician whenever possible. The Aetna Open Choice premiums increased by just over 4.0% in 2010. The Empire Blue Cross PPO plan provides coverage for the majority of specialty needs, especially in the New York Metropolitan area. Empire Blue Cross also provides care all over the United States. If you receive care from a provider or a facility in-network, there is only a nominal co-payment due, usually about $20. Some co-payments can be as small as $15 while others can be as much as $50. If you choose to receive care from a physician or hospital that is considered out-of-network, you will be reimbursed at 80% of the total cost of care. This reimbursement is subject to any co-insurance or annual deductibles that are part of your plan. In addition, the Empire Blue Cross PPO Plan covers many lab tests. In fact, if lab work is done under the request of an in-network provider, there is no out-of-pocket charge to the consumer. As far as care while in a hospital, Empire Blue Cross PPO will pay the hospital directly for any charges incurred as long as the hospital is in-network. The HIP Plan is considered on that does no charge any out-of-pockets costs to its members. The costs can be incurred at many medical groups and practices throughout the New York City area. In addition, emergency treatment is also covered outside the New York City area. Prescription coverage with a small $5 co-pays is also offered to members. HIP gives members access to more than 30,000 primary care physicians, and those primary care doctors can also provide referrals to specialists. Customers who need assistance finding a physician can call 1.800.HIP.TALK to get a referral or more information. UN also offers Medicare assistance to its retirees that are eligible, as well as a health and wellness management program. Effective in 2011, the UN Health Insurance program requires that any retiree that had not turned 75 years of age as of the beginning of 2011 must enroll in the Medicare Part B Program. The enrollment is necessary to help the UN control some of their rising medical costs. The UN also offers its employees dental coverage. This coverage is accepted through the Greater New York area, and offers access to a large network of dentists. Working in conjunction with CIGNA, employees receive reimbursement for dental care when it is provided by an in-network dentist. Out-of-network dentists can still provide services, but the reimbursement is slightly less than in-network providers are. Overall, all reimbursements are subject to plan maximums. The UN Health Insurance program is comprehensive and available to all UN employees. There are several options that provide almost any employee with the coverage they need. However, the coverage is only available to employees. If you are not a UN employee, you must get insurance coverage from another provided. Looking for health insurance? Start here by entering your zip code to get health insurance quotes in your area!